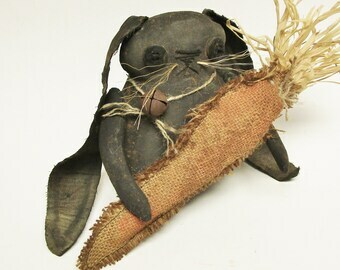 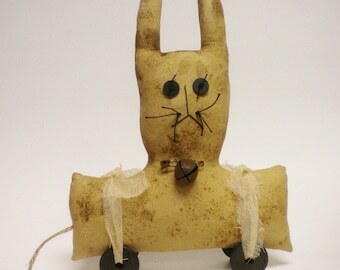 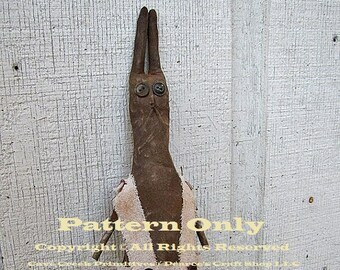 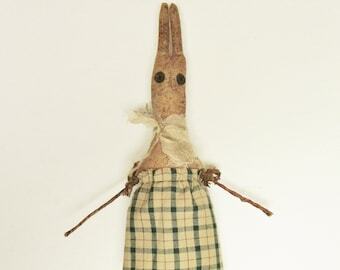 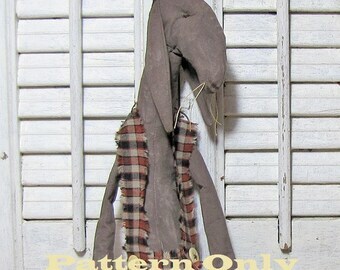 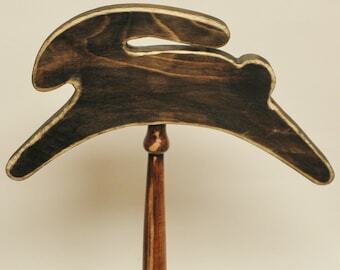 Here's a cute Primitive Rabbit Doll that is sweet to sit on a chair, tuck into a cupboard or sit on a shelf. 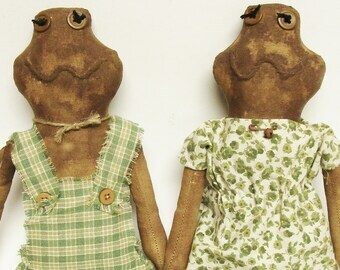 She is made of cinnamon dusted, stained and painted muslin. 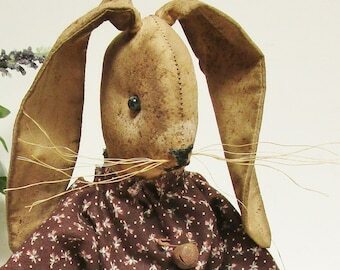 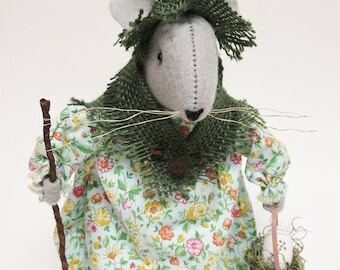 Her little face has lightly painted detailing, black bead eyes, thread nose and whiskers. 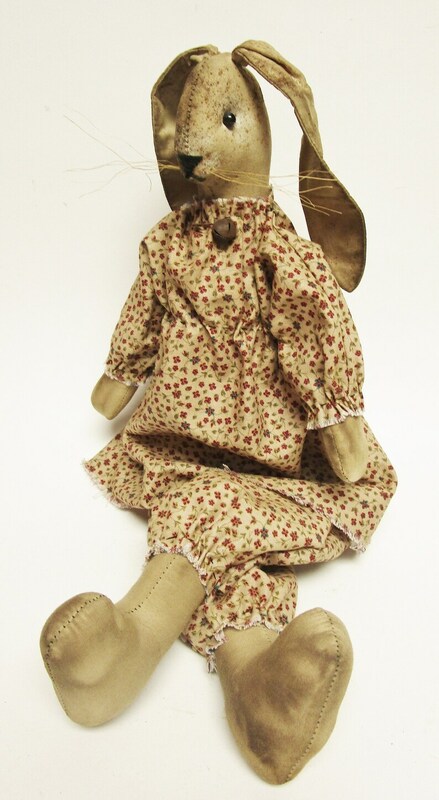 This handmade Bunny is wearing a tan calico print dress accented with a rusty safety pin and bell and matching fabric bloomers. 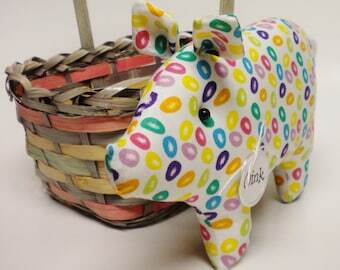 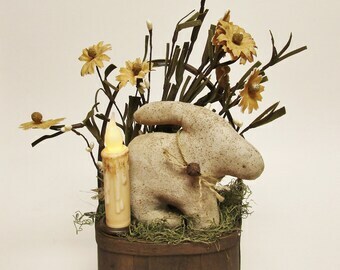 Measures Approximately 18" H. Intended for Decorative Use. 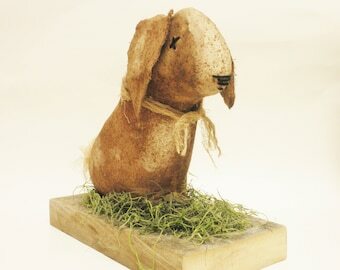 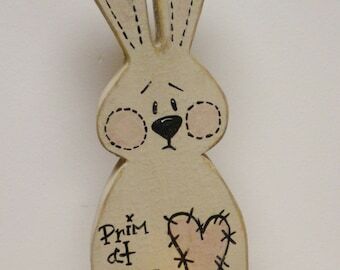 Beautiful decorative Rabbit Doll for Spring, Easter or Everyday Home Decorating.